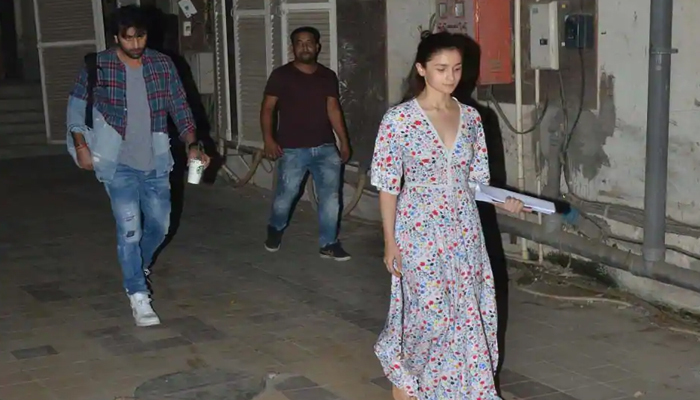 Ranbir and Alia back on work after Diwali, attend dance classes - Jago Times "English Edition"
MUMBAI: After a weekend-long holiday for Diwali, Bollywood lovebirds Ranbir Kapoor and Alia Bhatt are back on work for the shoot of their upcoming movie ‘Brahmastra’. The couple was seen together attending dance classes in Mumbai. ‘Brahmastra’ marks Alia Bhatt and Ranbir Kapoor’s first collaboration. It is a trilogy and also stars Amitabh Bachchan and Mouni Roy in lead roles. The first part of Brahmastra is expected to release in August 2019. The movie is being directed by Ayan Mukerji.